As I approach the beginning of my later years I find myself looking back a little more and realise that time really does seem to fly. Some of my plans have fallen by the wayside although new ones have replaced them along the way. My inspiration for the piece was the quote from Ivan Turganev as I realised it described how I felt. The piece tries to convey an element of contentment whilst looking forward to my sunset years, some distance down the road yet, as the bird flies and the snail moves towards the horizon. This has proved to be my most organically created piece to date. I had a starting idea but it just kept being subtly changed as it was created. 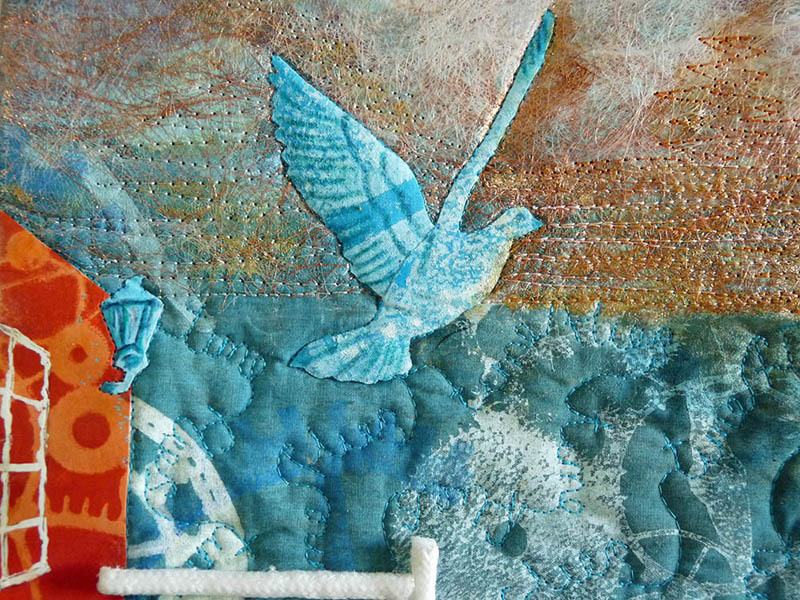 My background fabric was created using a technique learnt from Hillary Beattie at the Festival of Quilts (UK) this August and uses handmade stamps & stencils, purchased stencils & thermofax screens with fabric paints, acrylic paints & thickened dye. These same techniques were also used on a variety of fabrics and papers to provide a stash of materials to use during the design process. 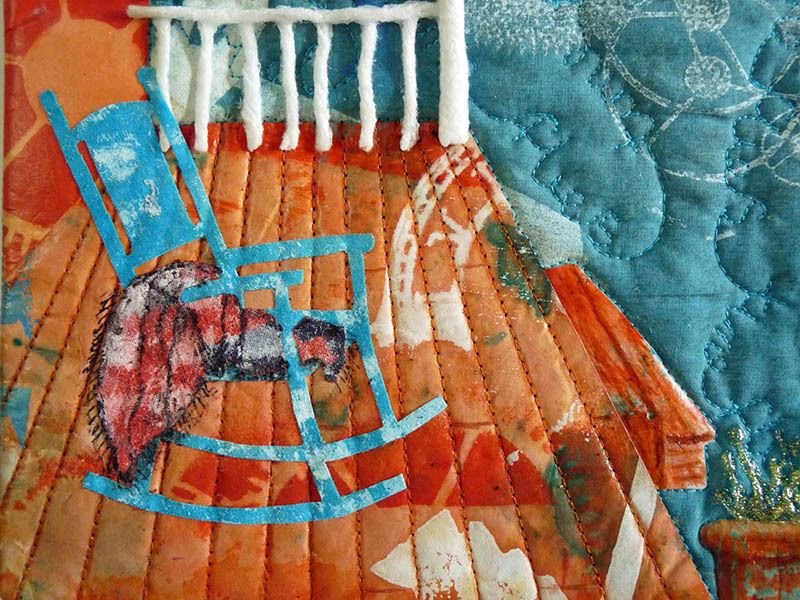 The colour scheme used for this process is a turquoise split complementary. The background design elements are clock part shapes and cog shapes onto which a selection of more specific images have been collaged. Text is also used as a design element to create the clouds and the hot air balloon. 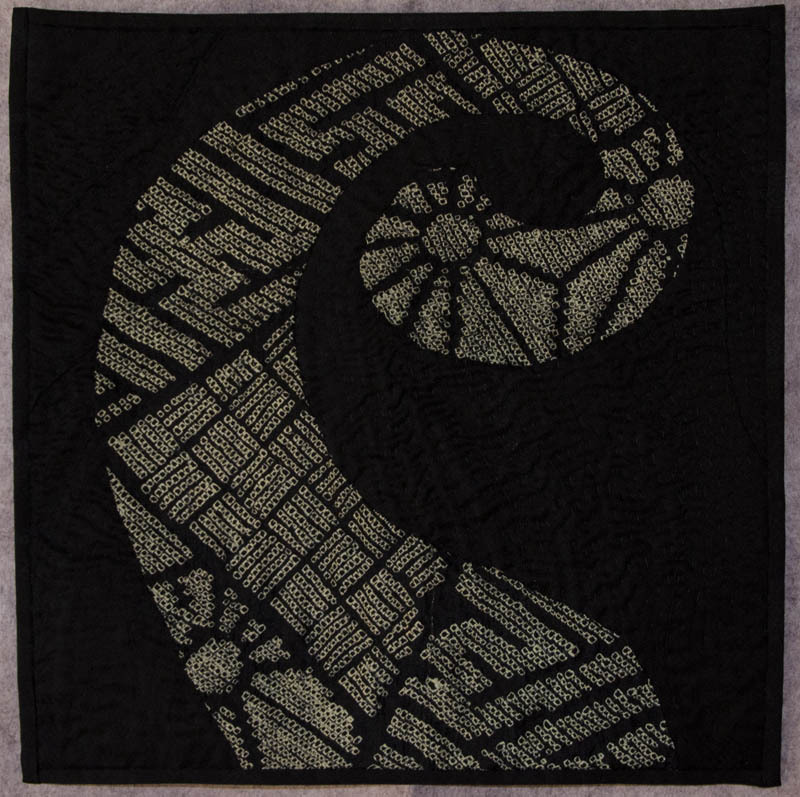 The quilting design in the lower half of the piece is the text “time flies”. 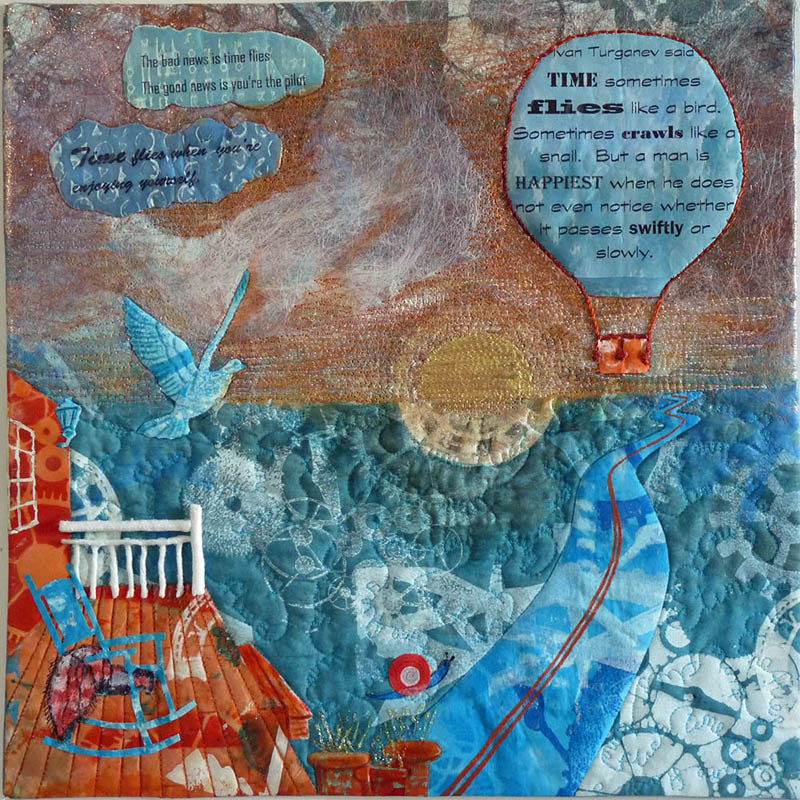 The sunset was created using Angelina fibres, straight line freemotion quilting and fabric paint. WOW Gaye I love it!!! Lots going on, Gaye; rich for reflection.